Fab 5 Under $50 featuring @Zara, @ToryBurch, and More! Fab Under$50 is back! I found some great pieces from some amazing designers and brands. Check them out! I would wear all of these items together with some dark denim skinny jeans. The cap toe flats from the Gap are a nice contrast for the Mango “Le Cool” sweatshirt. I always love color so the Marc by Marc Jacobs bracelets will do just that along with the Tory Burch iPhone case, and I am in need of a new case lol. Which items would you purchase? How would you rock it? This week I’m back with more arm candy! Yes, I know that everyone woman loves a good handbag, but we do not have to pay outrageous for great quality bags that are sophisticated, fun, and modern. Today’s Arm Candy feature is Mischa Barton Handbags. “I began my accessories line in July 2008, collaborating with Fitzrovia Designs. 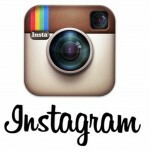 The company have an extensive knowledge of luxury accessories which has been a great reference point for me. This proved a valuable tool in nurturing and developing my designs from the initial concept to the end product. My design philosophy has always centered on creating a product that is directional without compromising on quality and functionality. Each collection is a reflection of my personal style. I have a variety of influences, from my British heritage to my love of 70’s rock music and their iconic characters. The collection has grown and developed to reflect the consumer and myself over the seasons, whilst maintaining a consistent vintage theme. I love coming across little gems such as Meredith Wendell on the internet. I was not familiar with the designer/brand but I happened to see some amazing handbags featured on a particular website. I immediately began to do my research on Meredith Wendell and instantly fell in love. 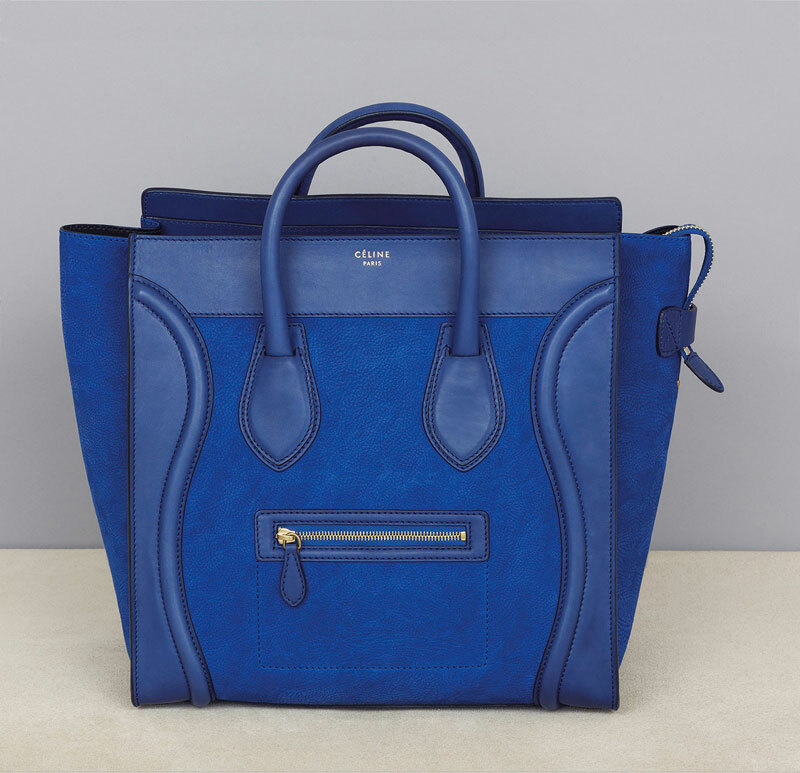 With spring lines being placed in the stores and the warmer temps being a few months away I was plotting on how I could get my hand on one of these bags from the 2013 cruise collection. 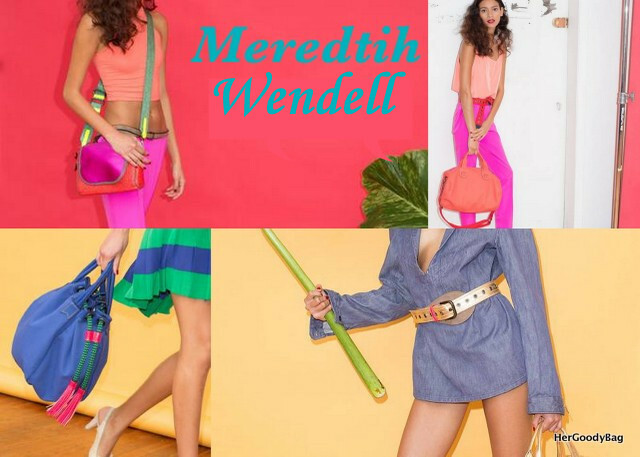 “Meredith Wendell, founded in 2008 by designers Meredith and Wendell German, is a New York based resort-inspired accessories brand, combining unique color and sporty American style. The creative influence of Meredith Wendell stems from Meredith’s childhood. Raised by her father and grandparents in and around the vibrant Dorothy Draper designed interiors of West Virginia’s Greenbrier Hotel, Meredith was exposed to a variety of design aesthetics, personalities and generations. This aesthetic has been captured during their collaborations with photographers Frederike Helwig and Chris Brooks and stylist Beth Fenton, shooting seasonal look-books at The Greenbrier, their apartment and Chapel Beach Club. With the inception of her own company, Meredith has drawn on her colorful background, always keeping in mind the value of her family heritage. I love finding refreshing lines such as Meredith Wendell. I was immediately drawn in to this collection by the bright and vibrant colors. Of course in the spring and summer you want to go bold with everything and that is exactly what you will get with Meredith Wendell handbags. The colors are eye-catching and the style of bags are very versatile. I also love the color blocking. This trend is still going strong and with bags like these, it will continue to make a huge statement. Check out more options below!